The 21 face up card game is an exciting casino game since not only do you get a chance to play with a live dealer, but also get to see his cards as well. This game allows you to see both the dealer’s cards and yours as well and thus puts you in a better position to play. To add fun to this game, you are given the opportunity to surrender your hand if you do not like what you see, however be very cautious since this is not always the best strategic move. There are several rules that differentiate this game from other card game and they are somehow unique due to its different nature. Face up 21 uses eight regular decks of playing cards; however the casino can set a different number of decks in play. 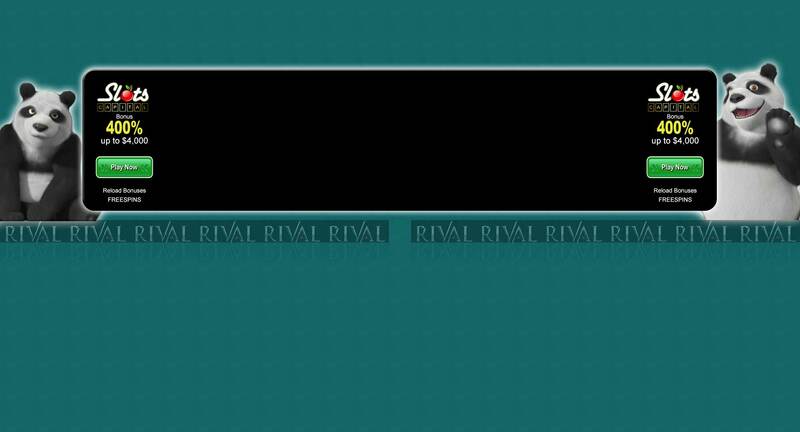 There is the splitting rule where you could split any two cards that have the same equal value. By splitting you need to add an additional bet on the new hand which has to be the same as the initial bet amount. You could also keep on splitting if you wish up to a maximum of three hands. There is the option of doubling down too, where you could double down on any 9, 10 or 11 and if you choose double down after splitting cards. The dealer plays by hitting on any hard total of 16 or less and stands on any hard total of 17 or more. The dealer could also hit on any soft total of 17 or less and stand on any soft total of 18. Any time the dealer is forced to stand on the first deal, the computer automatically hits for you until you win or bust. This rule is applied in 21 face up since you are allowed to see all cards and such you know what numbers you must beat. However when the dealer is not forced to stand on the first deal, you can hit or stand. The entire deck is usually shuffled before the start of each game. Both the dealer and the player are given two cards and just like the traditional blackjack the aim here is to get the highest point total without going over 21. If the dealer goes above 21, the player wins even on the first bet. However, if the player busts, the dealer is automatically the winner. For you to have a better hand, always look for the casinos that are offering the lowest number of decks. The more the number of decks, the higher the house edge and this will be a disadvantage to you since it reduces your probability of winning. So always put in mind that the lower the number of decks the better. Similarly it is recommendable that you get yourself a blackjack strategy card for this game since there are lots of changes to the normal basic strategy that come into play. Never surrender your cards unless the strategy dictates you to. By surrendering at the wrong time, you will find yourself at the wrong side of the house edge. The payouts and house edge of the 21 face up game is very unique. For the payouts, a blackjack hand pays even more and a winning insurance bet pays 2-1. A player will be considered a winner if both he and the dealer have blackjack, however all other tied hands will be considered to be won by the dealer. The house edge of this particular game is 0.85, and this is when it is being played with eight decks, however if the number of decks are more, the house edge tends to increase and if the number of decks is lower, the house edge will be smaller. 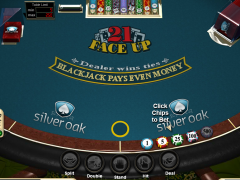 21 Face Up game is an enjoyable game to play and the reason you should participate is that you are at an advantageous hand since you know the cards that the dealer has and thus you should play your game considering his cards.